As London’s iconic Savoy hotel prepares to reopen its doors this weekend, Business Traveller takes a look at the hotel’s new Beaufort bar. Managed by the Fairmont hotel group, The Savoy reopens to guests on Sunday October 10 (10/10/10) after a £220 million project that has seen every corner of the hotel restored and refurbished. Previous visitors will recognise revamped favourites such as the American bar, the Savoy Grill and the River restaurant (closed since 2004), but the hotel will also feature several new additions, including “bijou tea store” Savoy Tea, and, for the first time, a second bar off the reinvigorated Thames Foyer. 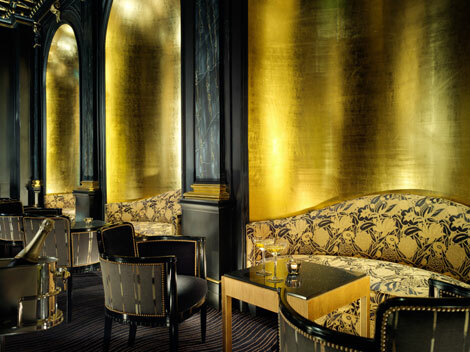 Inexplicably used as a standard meeting and storage room prior to the refurbishment, the new Beaufort bar incorporates the hotel’s former cabaret stage (graced by the likes of George Gershwin and Carol Gibbons) as the centrepiece to a theatrical, art deco space, with sumptuous black velvet furnishings and £40,000 of gold leaf on the walls. The hotel has employed creative hospitality consultants the Gorgeous Group (also responsible for the food and beverage concepts at the forthcoming Waldorf Astoria hotel in London’s Syon Park), to create a drinks menu including signature cocktails and champagne punches served in absinthe fountains at guests’ tables. Among the cocktail choices include the intriguing sounding Patience, with Hendrick’s gin, Chartreuse, lime marmalade, green tea and cucumber syrup served martini-style, and the Sugar Strut, containing Bacardi eight-year-old rum, Guinness Foreign Syrup, grapefruit and bitters served on the rocks (both £14). Romantic couples might like to opt for the Gilded Cage – two glasses literally served in a bird cage, and containing vodka, mandarin liqueur, yellow Chartreuse, fresh passion fruit and mango with pomegranate foam (£25 per couple) – while groups will be tempted by the four-person champagne punches with names like the Garden Party, Rhapsody in Blue and the Cat’s Meow, served in absinthe fountains and costing £40. But the signature cocktail, and no doubt a future favourite of city workers on bonus day, is the Winston. Apparently inspired by Winston Churchill’s custom of dipping his cigar in Hennessy Cognac, the cocktail involves pouring Hennessy XO, blood orange purée, quince liqueur and vanilla syrup through a sieve containing a muddled Romeo y Julieta cigar. Sounds strange, tastes fantastic, and costs a eye-watering £80. Away from the cocktails, the bar will serve rare vintage champagnes from Louis Roederer and Cristal by the glass and bottle, ranging from £65 for a bottle of Louis Roederer Brut Premier, all the way up to a methuselah of Cristal 2002 at £18,900. Drinks will be accompanied by nightly live music and entertainment performances, with “occasional appearances from cabaret legends and up and coming talent”. 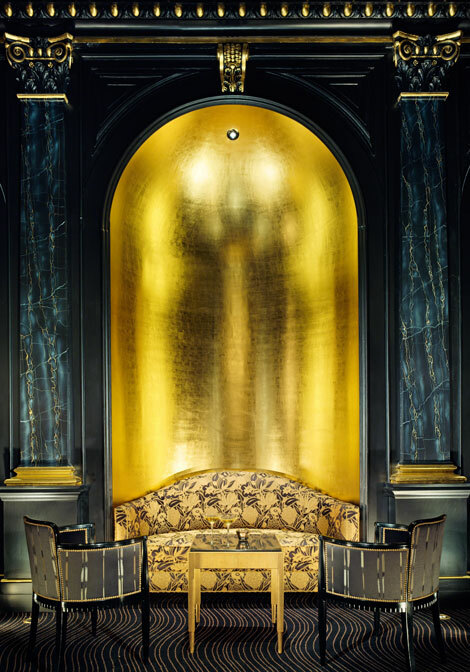 It’s been nearly three years in the making, but the Savoy is finally ready to reclaim its position as one of the world’s great hotels, and those baulking at room rates starting at around £350 can still sample the history and glamour of the hotel’s public spaces.